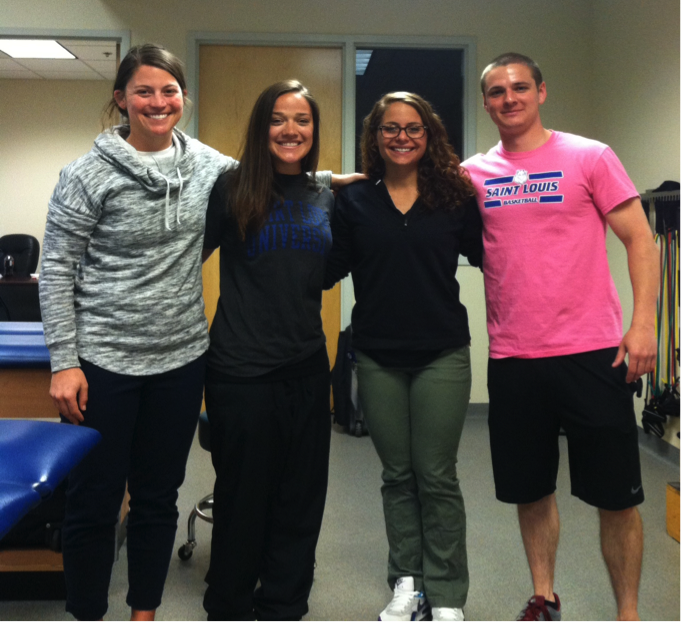 In the spring of 2015, we were fortunate enough to have our spring clinical placement at Saint Louis University. This setting was unique in regards to how our rotations worked. Typically every two weeks, we would alternate preceptors. This meant that we were exposed to a variety of different sports, teaching styles, and treatment strategies. 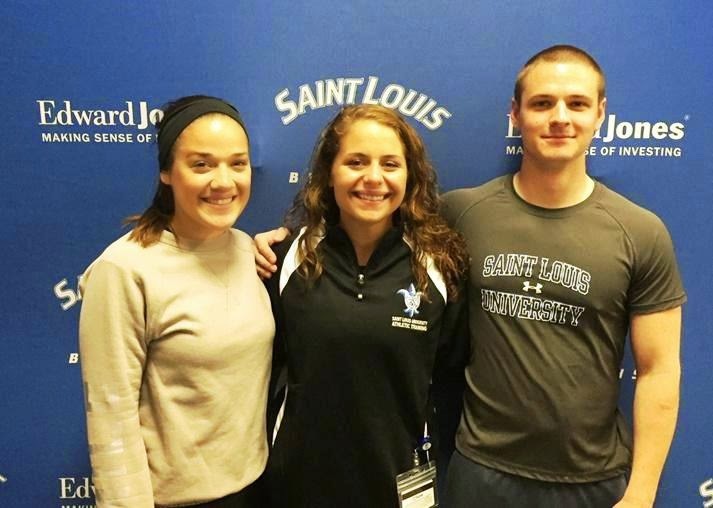 At the time of this blog post, we have worked closely with four different preceptors and have helped with treatments for athletes from the following teams at Saint Louis University: track and field, volleyball, tennis, men’s basketball, women’s basketball, field hockey, and currently baseball and softball. Last semester our clinical rotation was in a high school setting. We thought that there would be a really big transition from the high school level to this university setting. But surprisingly, we found that there is not that much of a difference in regards to how athletic training is practiced. Both settings have the same emphasis on professionalism, patient centered care, preventative measures, and rehabilitation protocol. But there is a difference that is blatantly evident. Obviously the budget at the university setting is much larger than that of a high school. This allows for the sports medicine department to have newer, more expensive modality machines, gadgets like a SwimEx, the use of expensive tape, and an easier ability to obtain imaging and doctors appointments. By having the opportunity to work with multiple preceptors, we are constantly gaining new experiences. 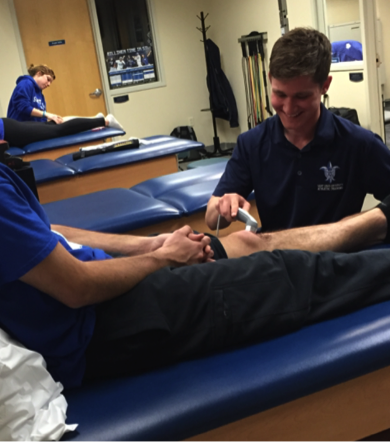 Every athletic trainer has developed their own way of doing things. One of the benefits of this is learning that there is always more than one way to reach the same result. It has allowed us to open our minds to different ideas and think outside of the box. We have widened our skill set this way, and look forward to further increasing our knowledge throughout the remainder of the semester. In regards to injuries, we have not had to provide any sort of emergency medical services yet. We have on the other hand been doing a lot of treatment for chronic, overuse injuries. Because we have started our first rehabilitation class this semester, it is interesting to apply what we have learned in class to a clinical setting. 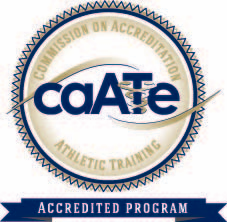 Thus, as a result of working with the sports medicine team at Saint Louis University, our knowledge and skills related to athletic training continue to increase tremendously. We are especially grateful to our preceptors who take the time out of their day to teach us new lessons.